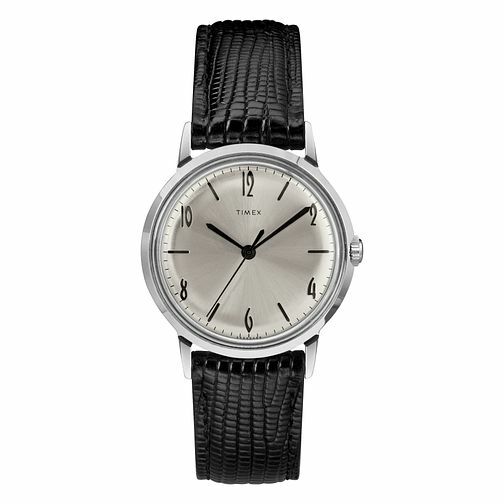 This smart Timex watch boasts a silver tone dial, featuring alternating hour markers and arabic numerals. With a polished stainless steel case, this timepiece is complete with a classic black leather strap. This watch is water resistant up to 30 metres. Timex Marlin Men's Black Leather Strap Watch is rated 5.0 out of 5 by 1.